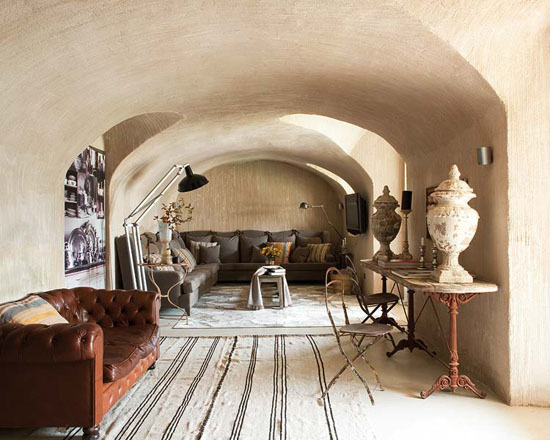 The whole interior mixes traditional rustic elements with a simple aesthetic and a contemporary flair. The plastered finish on the walls and the polished concrete floors provide an attractive artistic touch. Antiques are combined with a fantastic collection of contemporary art, making the interior unique and interesting.